Choose the Largest Partners to Recruit: Select the largest partners based on overall revenue. ◈Metric: Focus on the partners with the most salespeople and largest revenue. ◈Why Wrong: The largest partners are also the hardest to gain their attention and commitment and may be less profitable on average vs. smaller partners. Spend More on your Largest Partners: Invest disproportionately in partners that generate the most sales for your brand. ◈Metric: Focus on your largest partners in revenue for your brand. ◈Why Wrong: Your largest partners today may have lower growth upside because you have tapped into much of their cross-sell potential vs. other partners. 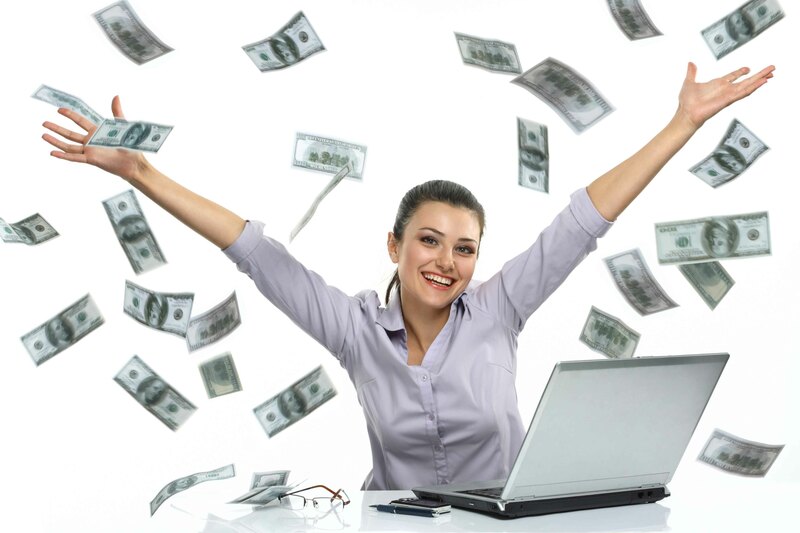 Allocate Marketing based on Historical Sales: Allocate MDF / Coop based on earned accrual. ◈Metric: Allocate marketing dollars based on a percentage of prior year sales growth. 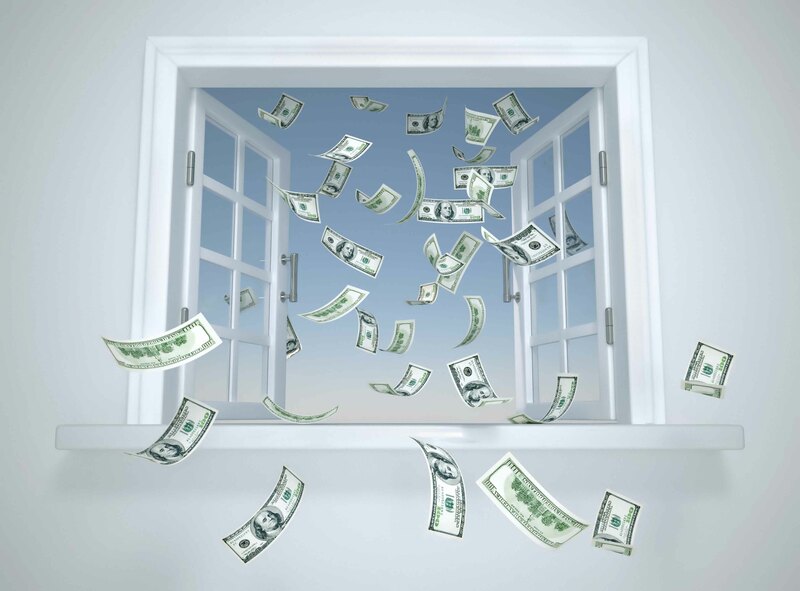 ◈Why Wrong: No future performance is required for accessing and spending this money. Use the Same Metrics for all Partner Life-Stages: Use same metrics for your brand new and long term / mature partners. 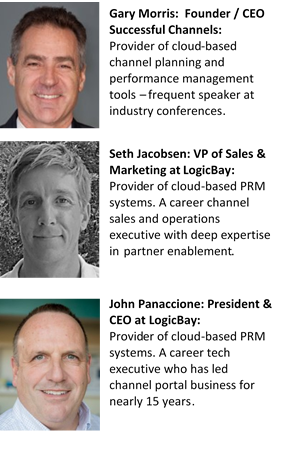 ◈Metric: Partner sales measured above all else. ◈Why Wrong: Each stage in a partner’s lifecycle requires different resources, support and metrics. Measure the Number of Partners Added to the Network: Focus on growth of the partner network vs. making the partners you have produce fast. ◈Metric: The total size of the partner network. ◈Why Wrong: For most channel organizations, 20 percent of partners deliver 80 percent of the revenue. Adding more partners with flawed onboarding only makes this problem worse. On the surface, these KPIs sound like the right metrics to monitor. The problem is that none of them focus your channel organization’s highest potential areas for growth. The good news is there is an alternate set of metrics that are closely aligned with partner growth potential. Top Five “Right” Types of KPIs for Your Channel Organization: All partners in your network are on a journey from the moment they start their relationship with your brand until they become high-performance, actively producing partners. At each partner life-stage there are a set of metrics and methods uniquely designed to support their growth. Each step of a partner’s life-stage journey comes with a corresponding set of recommended tracking and performance metrics. These metrics help define the partners that are the best fit with your brand while also serve to track the activities that are necessary to develop capable, motivated, and revenue-producing partners. The Five Right Categories of Metrics that VPs of Channel Sales Should Implement: Each of the following five metric categories are critical to finding the right partners for your business, developing their strategy to improve their readiness for your brand, and generating motivated and capable sales and support teams. However, not all of these metrics are critical for all your partners all the time. It is best to match the right metrics to the right partner life-stage and periodically review all the metrics for each partner. Partner Fit with Brand Strategy Metrics: These are excellent for assessing new candidate partners and updating your “latent” partners that have not been active for a while. Partner End-Customer Business Profile Metrics: These are core partner capabilities that new and existing partners need to track and develop over time. Partner Capabilities Metrics: These are key capabilities and delivery metrics that need to be monitored for all active partners. Partner Activation Metrics: These are metrics that track the level of activity and effort your partners are allocating to the growth of your brand. Partner Performance Metrics: All partners, new and old, should set targets for these metrics and track and measure their performance. Each of these metric categories and individual metrics need to be adapted on a company-by-company basis to come up with the ideal partner performance scorecard and blueprint. If well defined, these metric scorecards will be motivating for your partners through all their partnership life-stages. Defining how to implement these partner life-stage metrics is as important as the metrics themselves. The use of a strong scorecard, business planning and QBR system is key to achieving the revenue producing outcomes of a partner life-stage management process. The first step is to profile current and potential partners on the initial life-stage metrics. This is typically done with the use of a questionnaire that is answered by the partner directly or together with the Channel Account Manager (CAM) assigned to them. Questions can be organized by “category” and “topic” area. Each question can be scored on a 1-100 basis to profile where a partner stands with each metric. 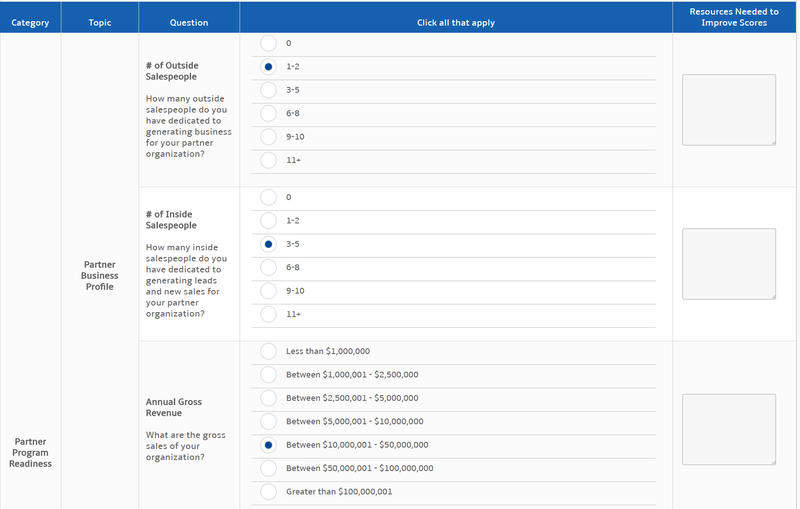 A questionnaire helps partners quickly assess themselves vs. a vendor-defined best practice. The questionnaire can be deployed to help a partner inventory what they are and are not doing to build their success plan. Partner responses can be scored and presented in a friendly report to help identify where they stand on all key capabilities metrics. A 1-100 scale helps partners identify, in minutes, their strengths and improvement opportunity areas. The red, yellow, and green balls help partners focus their attention on their greatest needs and plan improvements. This scorecard report can be updated in minutes, quarterly or semi-annually, to fine tune improvement planning. The second step is to setup a “Partner Performance Scorecard” system to provide your partners with a one-page summary of exactly where they stand on all key performance metrics. The metrics included in this view are related to the business output of the partner. 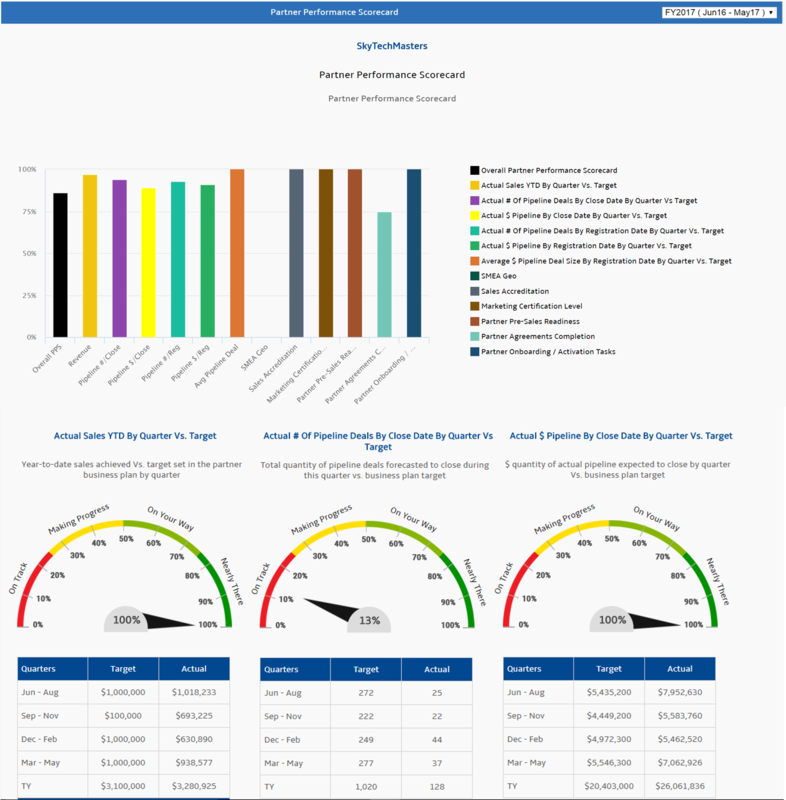 On the top, they can see a graphical summary of where they stand with all key program metrics. This includes sales performance, pipeline performance, and performance on other key program level (e.g., Silver, Gold, and Platinum) requirements. They can also see a quarterly review of their performance on each individual sales, pipeline, certification or other partner required tasks. The combination of these two scorecards (i.e., Capabilities Scorecard & Partner Performance Scorecard) provide a comprehensive view of all five categories of metrics required for a high growth channel. 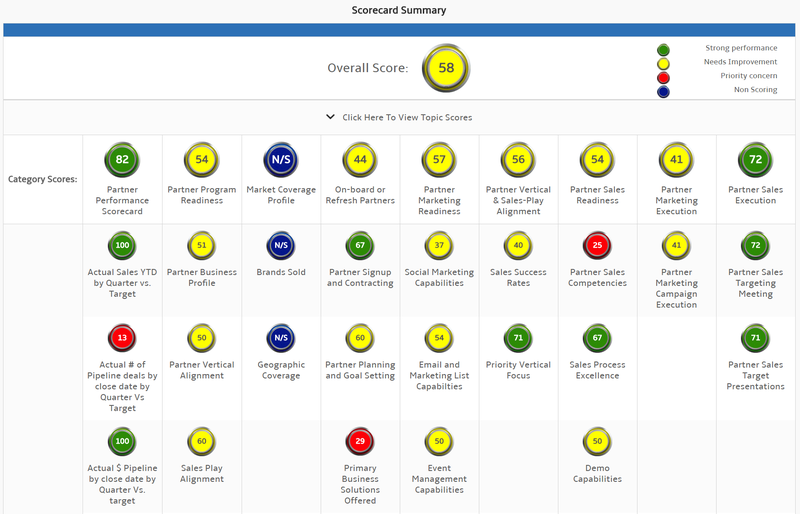 The great news about these dashboards is that they are either created automatically for the partner (Partner Performance Scorecard) or created in minutes by / with the partner (Capabilities Scorecard). 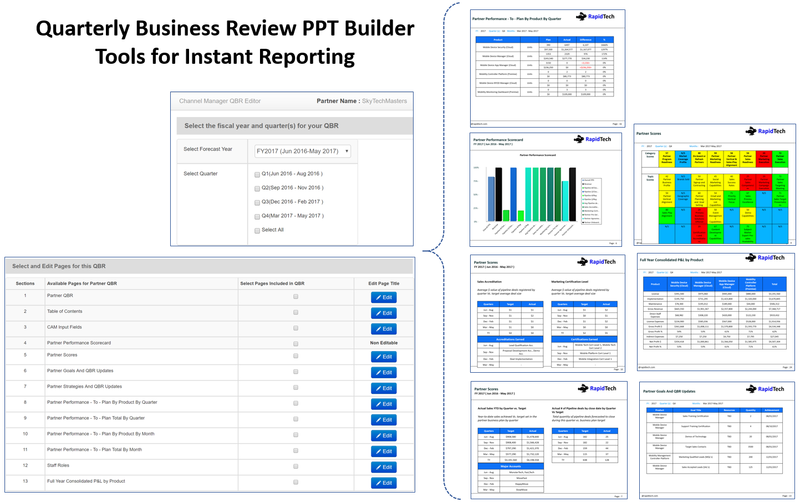 In addition to these two scorecard tools designed to put these best practice metrics into action, there are also QBR tools designed to create a comprehensive business review in a PowerPoint presentation in minutes. These tools automatically pull in the target and performance to target data for all metrics and allow the Channel Account Manager (CAM) to edit and produce a comprehensive QBR presentation in minutes. With tools like this, CAMs can do performance-to-plan reviews with 100 percent of their assigned partners every quarter. Channel organizations that define the right “hard working” metrics for each partner life stage generate, on average, 10-25%+ revenue growth vs. the prior year vs. those that do not. This is based on a detailed analysis of partners that complete plans and QBRs and measuring their actual sales performance vs. prior year. Setting the right metrics and implementing systems that are specifically designed to assess, track, report, plan and measure your partner’s ongoing performance are the key to realizing accelerated revenue growth gains for your channel. At the same time, providing these instant and 5-minute tools allow your CAMs to focus on delivering growth and enablement consulting to their partners vs. digging through multiple disconnected systems and shuffling Excel spreadsheets to product a fraction of this QBR on their own. If you like what you read here, learn more about Successful Channels and LogicBay. Founded in 2003, LogicBay delivers technology-enabled channel management solutions to companies that need to build, scale, or optimize their indirect sales channels. At the core is our Partner Relationship Management (PRM) technology, combined with a proprietary strategic methodology that helps accelerate revenue and lower costs for vendors and their channel partners. The productivity gains from PRM improve channel partner satisfaction while helping vendors to manage their indirect sales more efficiently at scale. Great stuff Gary. Thanks for sharing and breaking it down. Couldn’t agree more. Great article, Gary, Seth and John!